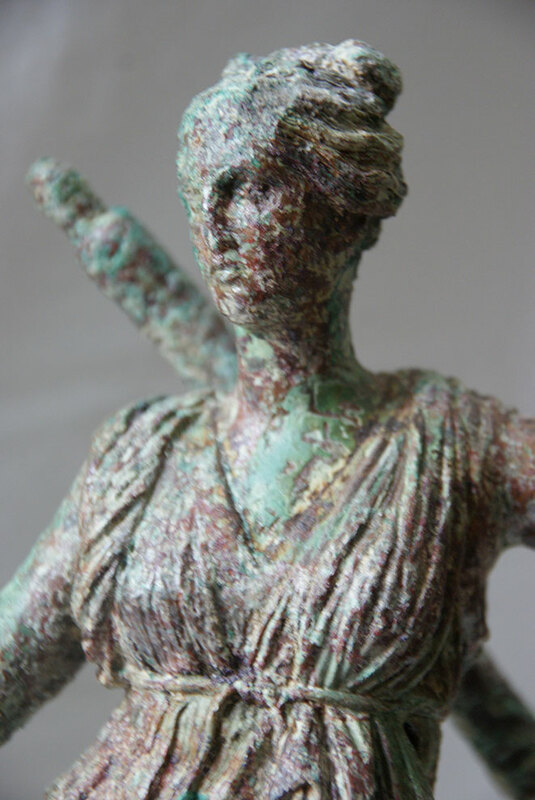 After the eternal home of a cat from ancient Egypt, the Unseen Museum hosts Artemis from the sea. 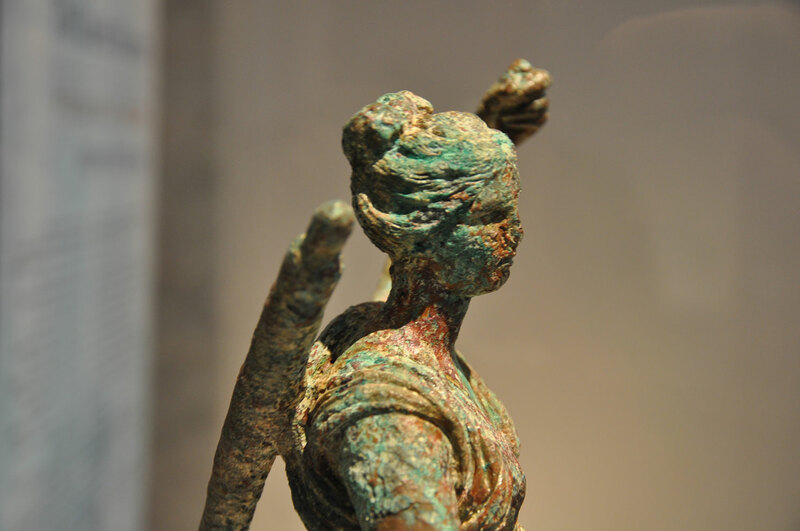 This is a bronze statuette of Artemis, dated to the end of the 4th cent. 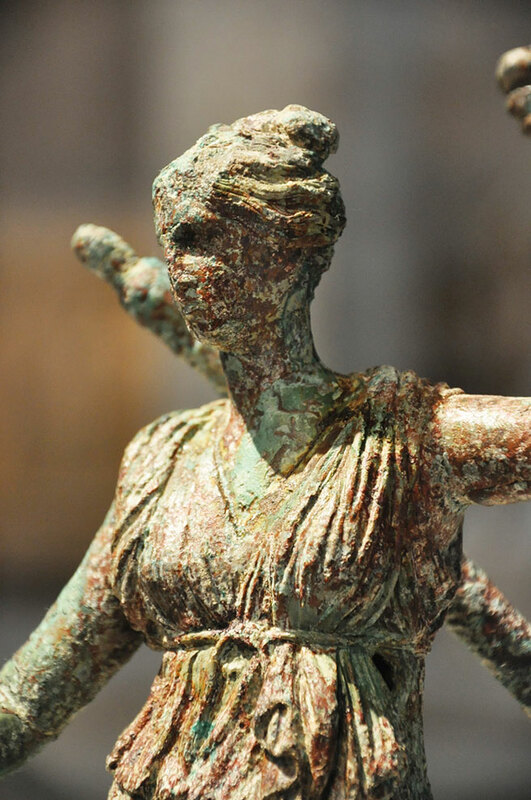 B.C., which was retrieved from deep waters in the sea area of Mykonos, in May 1959 and since then has been kept in the storerooms of the National Archaeological Museum. 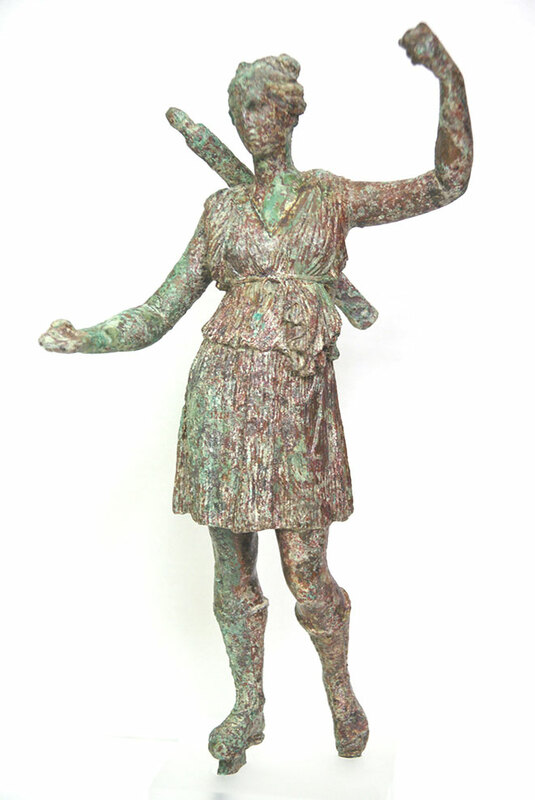 The bronze goddess, the venerated virgin, the mistress of wild animals, the patroness of wild nature, of fertility, of infants, of young girls, of women’s life – its joys and hardships, was brought out on Monday, 18 of May, in the «altar room» (room 34) and will remain on display there until 19 of July.